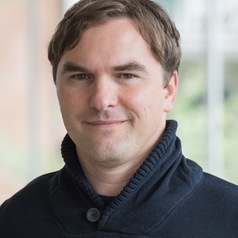 Dr. Matthias Walter is a clinician-researcher focusing on improving bladder, bowel and sexual function in people with underlying neurological disorders, such as spinal cord injury (SCI). His main concern is a condition commonly known as autonomic dysreflexia (AD), a potential life-threatening consequence familiar to the majority of individuals with SCI as well as their caregivers. AD is characterized as a sudden increase in blood pressure that can be commonly elicited by very simple stimuli, such as a tight belt, inappropriate wheelchair positioning or ingrown toenail. Without timely recognition and management, AD can result in severe complications affecting the heart and the brain. Considering the potential life-altering health risk, Dr. Walter main goal is to find therapeutic options to reduce or at best eliminate consequences from AD in this population. Dr.Walter is a currently an honorary postdoctoral fellow with Dr. Krassioukov at the International Collaboration on Repair Discoveries (ICORD), University of British Columbia, Vancouver, Canada. He obtained his medical degree (2006) from the Friedrich-Schiller-University, Jena, Germany, his Doctorate of Medicine (2014) from the University of Zurich, Switzerland and his PhD (2018) from the Faculty of Health, Medicine and Life Sciences, Maastricht University, The Netherlands. He has been board-certified as an urologist by the Swiss Medical Association in 2016.